Who’s excited for Easter?! I can’t resist the colorful marshmallow Peeps that come out this time of year, they are just so darn cute! 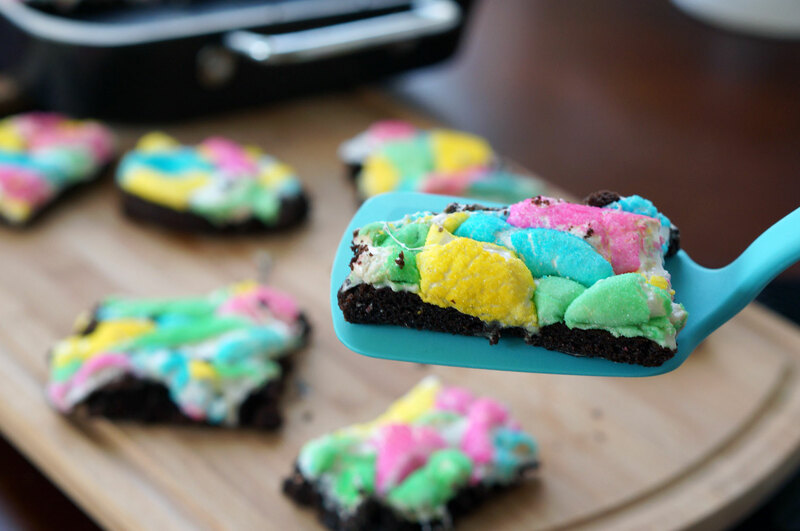 Before I knew it, I had over 4 packages of different colored Peeps, so I knew I had to find a new recipe to use them. 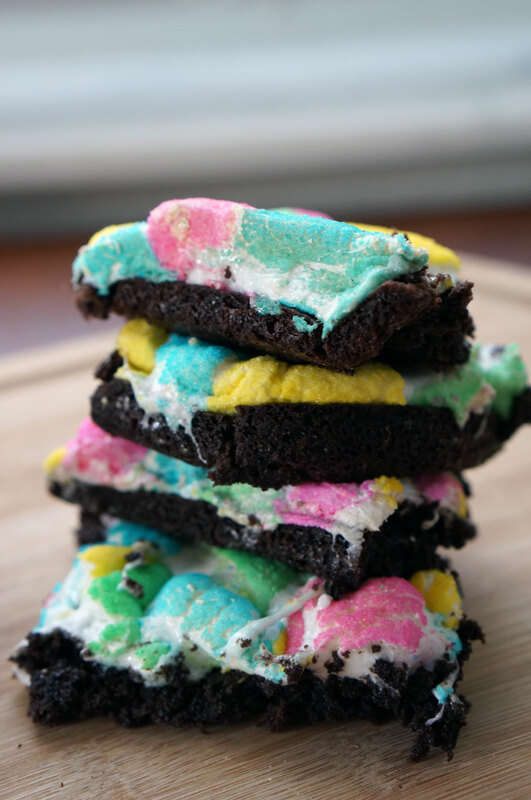 That’s when I came across these Peep bars on Pinterest, which inspired me to make these colorful marshmallow Peep brownies! 1) Follow the instructions on the box to make your brownie batter. Grease a your pan well (and choose a larger pan so your brownies are thinner). Bake for 5 minutes less than the box recommends. 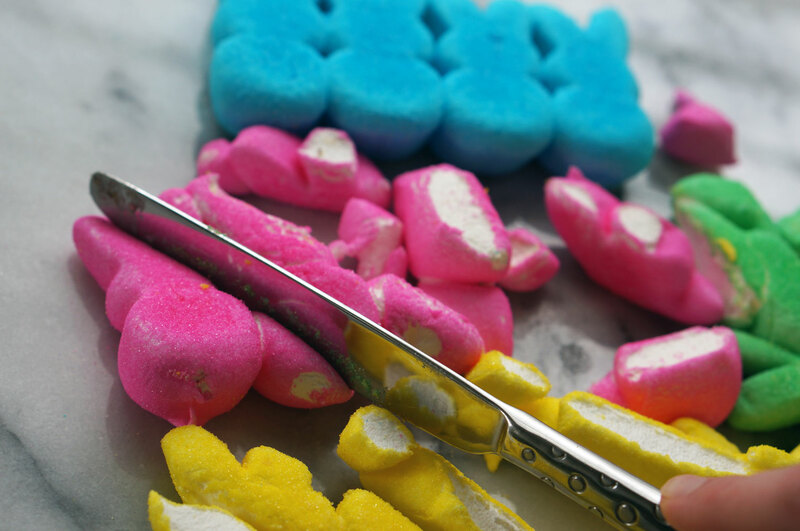 2) While your brownies are baking, chop your Peeps up into colorful marshmallow pieces (I know this is a little sad, but trust me it is worth it). 3) When you take your brownies out of the oven, immediately cover them with your chopped up Peeps. Be VERY careful not to burn yourself on the edges of the pan. You can kinda puzzle piece your Peeps together. 5) Let cool completely before cutting. They are a little challenging to cut since the marshmallows are so gooey, but they turned out delicious! 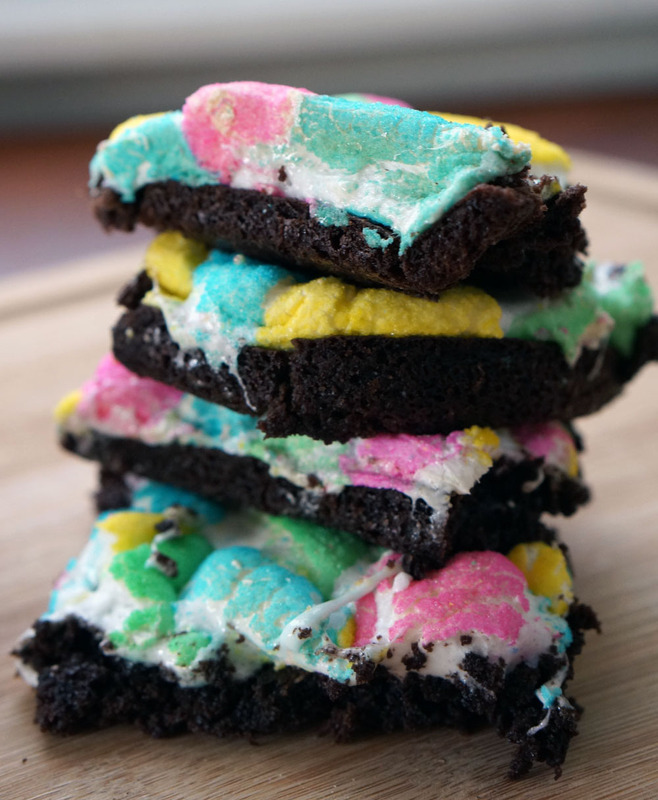 Serve and enjoy your scrumptious Peep Brownies with friends and family. 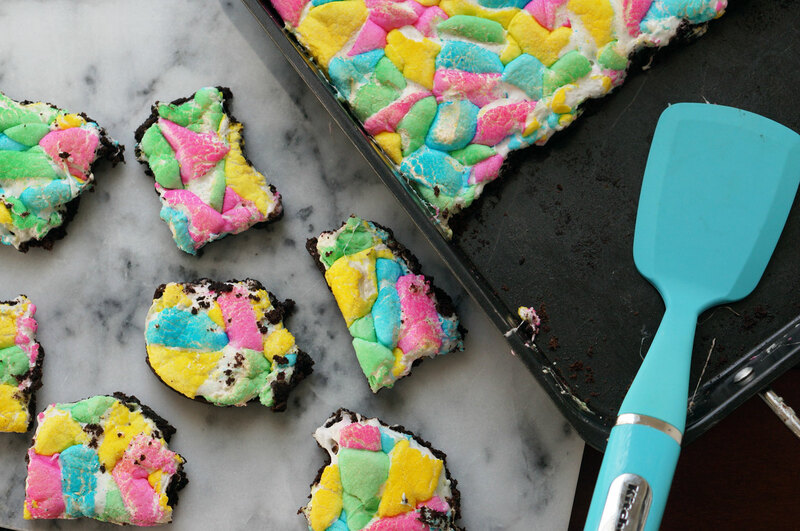 This is also a great after-Easter recipe when you don’t know what to do with all of your leftover Peeps. If you try this out, be sure to let me know what you think! 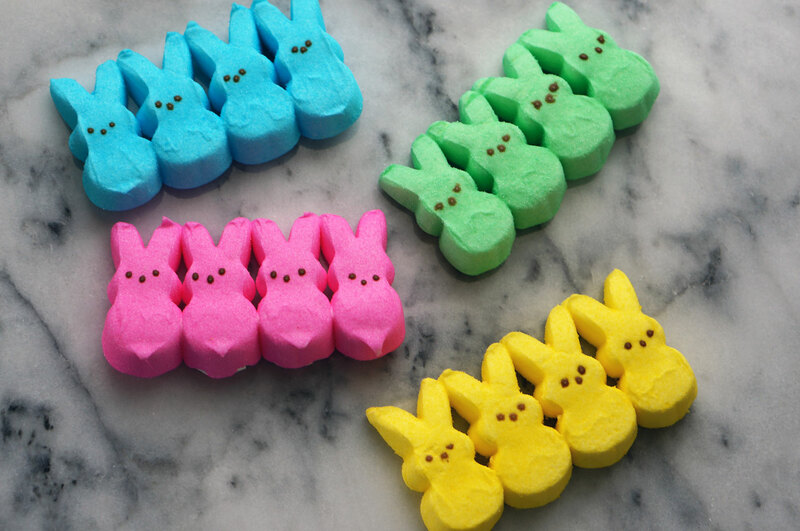 For more Peep recipes see my Crafting with Peeps blog post.